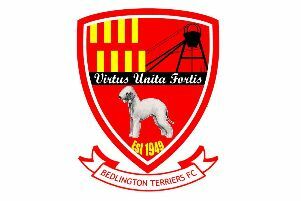 Two goals in the latter stages of the first half by Matthew Weirs and James Ellis – the latter from a penalty – condemned Ashington to defeat at a windswept Ryhope on Saturday, writes Brian Bennett. It’s hard to believe that only a month ago, and only days after Steve Bowey had resigned as manager, that the Colliers turned in a superb performance which culminated in a 5-3 away victory at Guisborough. Since then, things have gone all wrong for the Wansbeck side with consecutive defeats against Penrith, Whickham and now Ryhope and have failed to register a goal in all three matches. 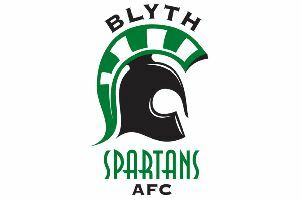 In the final analysis on Saturday, they were well beaten by a mid table Ryhope side – yet it could have been so different after the Woodhorn Lane side made a decent start and spurned golden opportunities to go in front. In the 11th minute, Ben Sampson beat the offside trap and charged forward in the inside right position but with only ‘keeper Joe Atkinson to beat, chose to cross the ball to Chris Youldon instead of pulling the trigger and the home stopper intercepted. Seconds later, Paul Antony stroked wide of the far post then Lee McAndrew set up Channon North – on his return to the club – but he directed his effort well off target. Following a quick break, a shot from Ryhope’s Jack Devlin stung the palms of visiting ‘keeper Conor Grant but in the 34th minute, the hosts went in front in fortuitous circumstances. Admittedly Grant was off his line but it appeared that the effort by Weirs was intended as a cross rather than a shot. Nevertheless it looped over the keeper and dropped inside the far upright. Aidan Hutchinson cleared off the line from Devlin but two minutes from the break, Ryhope added a second – from the spot. Devlin was tripped by Wayne Buchanan and after referee Craig Dean had pointed for a penalty, Ellis made no mistake, tucking the ball wide of Grant. The second half was a scrappy affair. Joe Melvin - after coming on as a substitute on the hour – wasted a handful of chances to put the game to bed for Ryhope and it was not until the closing stages when Ashington came alive, North heading down for substitute Morrison whose shot was saved by Atkinson. Then after another attack with North poised to fire home, defender Danni Lay made an excellent tackle to thwart him and a corner by McAndrew was cleared off the line. Sandwiched inbetween, Jon Weirs and sub Robbie Bird went close for the home outfit. *On Saturday, Ashington are at home to Newcastle Benfield (3pm).